Canada Bay Connections highlights photographs and history of the City of Canada Bay. This year marks the twentieth anniversary of Ferragosto, Five Dock’s fabulous celebration of all things Italian. To celebrate this year’s event, an exhibition at Five Dock Library looks back at twenty years of fun, food and people which combine to make Ferragosto the vibrant street fair that it is. The exhibition features a digital frame which glides through 100 images from past years. Ferragosto this year will be held along Great North Road, Five Dock on Sunday, 20 August. The exhibition continues at Five Dock Library until 31 August 2017. The photograph shows performers (in the tradition of commedia dell’arte) at last year’s Ferragosto. 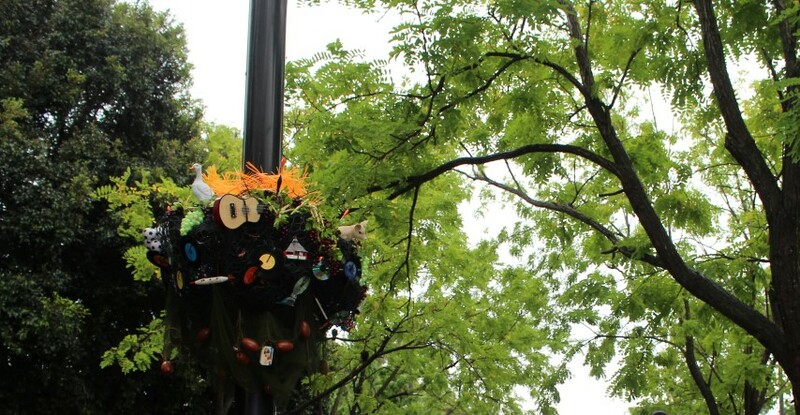 A new art installation The Italian Talkative Square – La Piazza Parlante in Fred Kelly Place, Five Dock, celebrates the area’s rich Italian heritage through a blend of art and oral history. Artist Marta Ferracin collected stories told by older members of the Italian community who came to Australia from the Aeolian Islands, Sicily, central and southern regions of Italy. Marta gathered the stories from community meeting points such as Fred Kelly Place, All Hallows Catholic Church and Club 5 Dock. Many arrived in Australia with little more than the clothes they wore. Some boarded a ship bound for Australia believing the journey would take only two or three days. All contributed much to the wonderful diversity of our area. Three colourful sculptural works in Fred Kelly Place are the focal point of stories which are broadcast on the themes of ‘Emigration’ (blue spikes) playing Thursday – Saturday 10:00 – 10:50am (or 11 – 11:50am during daylight saving time), ‘Tradition’ (yellow spikes) playing Thursday – Saturday 3 – 3:45pm (or 4 – 4:45pm during daylight saving time) and ‘Characters’ (orange spikes) playing Thursday – Saturday 5 – 6pm (or 6 – 7pm during daylight saving time). For more information and photographs see artpharmacy consulting. A wonderful video of the work can be viewed on vimeo. Every August the Great North Road comes alive as Five Dock celebrates Ferragosto, a wonderful mix of Italian food, culture and fun. To coincide with this year’s Ferragosto, Five Dock Library has a digital exhibition of 100 images of past events selected from the library’s collection,‘Canada Bay Connections’. Ferragosto this year will be held on Sunday, 16 August. The exhibition continues until 31 August 2015. A selection of photographs of Ferragosto can also be viewed on flickr. 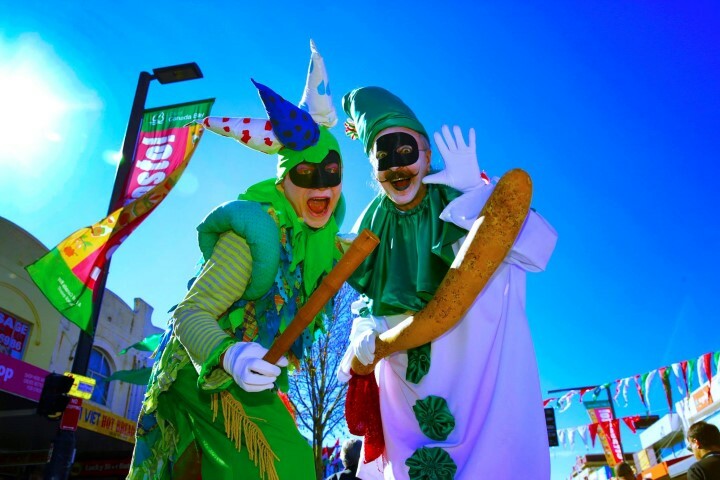 Five Dock celebrates Italian food and culture every August with Ferragosto, one of Sydney’s premier street fairs. 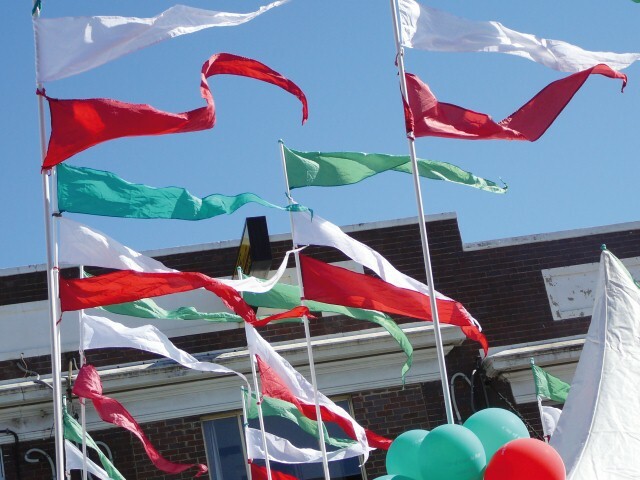 To coincide with this year’s Ferragosto, there is an exhibition at Five Dock Library of photographs and front pages from Ciao magazine which explores the fun, food and people that help to make Ferragosto such a vibrant street fair. The exhibition also recognises a publishing milestone for Ciao which this year celebrates ten years of publication. The photographs are complemented by original posters, programs and ephemera from the Local Studies collection. Ferragosto this year will be held on Sunday, 17 August. The exhibition continues at Five Dock Library until 31 August 2014. A selection of photographs of Ferragosto can also be seen on flickr. 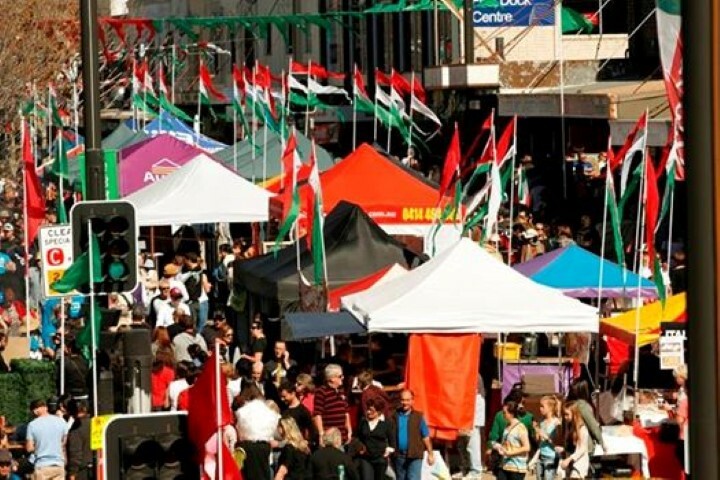 Every August, Five Dock celebrates Italian food and culture through Ferragosto, one of Sydney’s premier street fairs. Italian immigrants first came to Sydney in the 19th Century. Numbers of Italian immigrants began increasing after the United States set immigration quotas in 1924 with significant arrivals following World War II. Locally there were many Italian immigrants from the Isole Eolie (also known as the Aeolian Islands), especially from Panarea, Salina, Lipari and Stromboli. 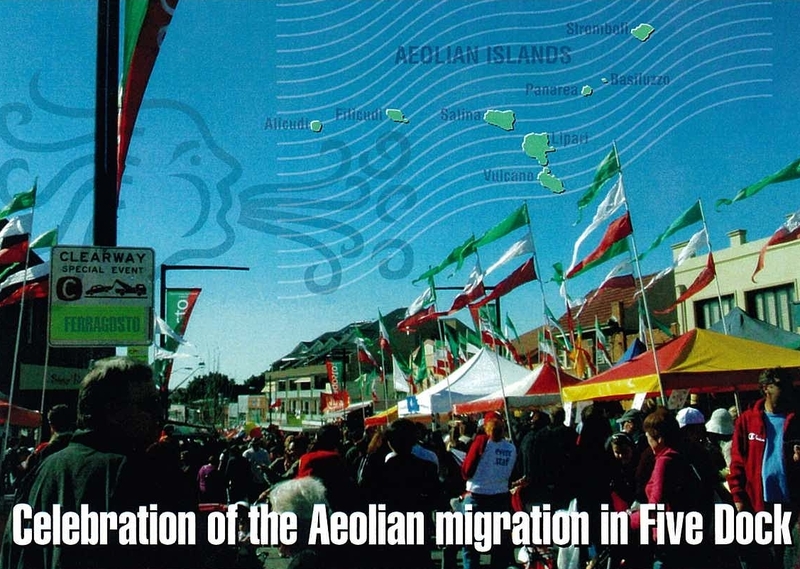 The Eolie and other Italian immigrants have contributed enormously to the economic, social, cultural and sporting activities of the local community. Two striking art works La Famiglia and Piazza Eolie also celebrate Five Dock’s rich Italian heritage. Ferragosto will be held on Sunday, 11 August 2013.